With engraving, the possibilities are endless. Commemorate a special event or milestone with an engraved keepsake by personalizing your mementos with an inspirational message, an event date, or even a favorite quote. Show company pride by engraving EVERYTHING! Brand your business by creating custom swag engraved with your company’s logo or add a professional touch to office accessories. Whether recognizing a top performer, a whole team, or individual’s outstanding performance, there is no better way than to honor that achievement by presenting an engraved plaque, trophy or award. ​​Dye sublimation is a high-quality, digital printing technique that allows for vibrant, full-color, seam-to-seam printing by fusing inks into polymer fabrics such as polyester in addition to a multitude of other materials such as ceramics and metals. ​Make your brand stand out from the crowd with unique marketing materials mounted with vinyl graphics and lettering. Vinyl graphics and lettering present a very durable, cost-effective way to draw attention to windows, walls, doors, vehicles, t-shirts, and just about any smooth service you can think of. The uses are only limited by the imagination! 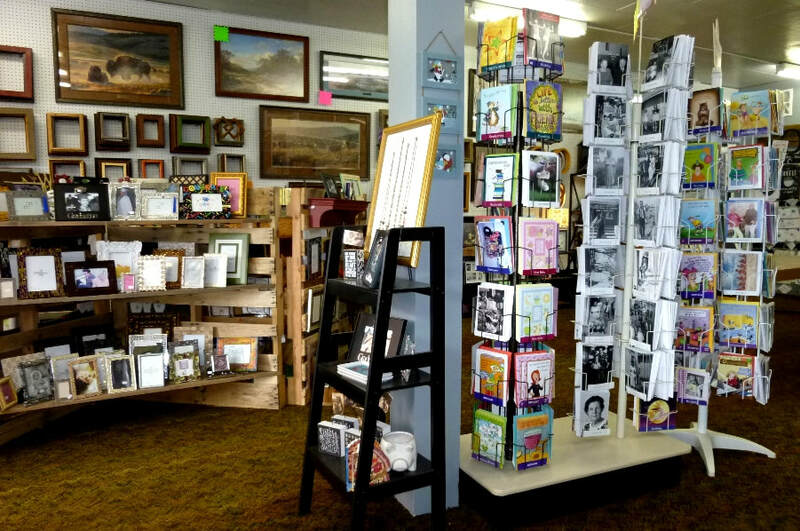 ​Where can you be inspired, discover a new hobby, and find gifts for that special occasion? Frames Unlimited, of course! ​Around every corner and in every nook and cranny, you will find just about anything to get your creative juices flowing. From carefully hand-picked products to trendy craft ideas, it’s your go-to place for fresh ideas and to bring your imagination to life. The fun doesn’t stop there. 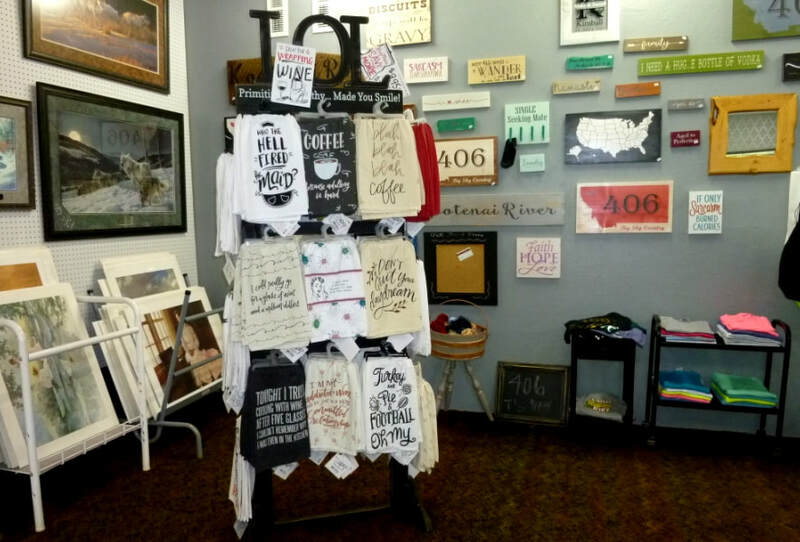 Not only does this creative neighborhood boutique provide a venue for local artists and artisans to showcase their creations and get recognition for their talent, but inside you will find a plethora of unique gifts, hand-crafted treasures, and plenty of prints and paintings for those who share our small-town sensibilities.